In any home, windows are among the most important factors contributing to the exterior and interior aesthetics of the entire structure. They also are instrumental in keeping household costs down – inferior window construction can lead to wasted electricity and higher power bills. 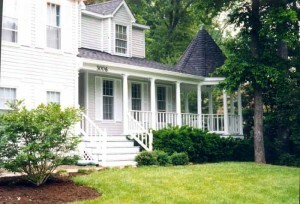 Shiner Roofing, Siding and Windows is here to help homeowners in Arlington, Alexandria, Fairfax, and other towns and cities in Northern Virginia and Maryland keep their houses beautiful and energy efficient with professionally installed new windows. Shiner is a licensed, bonded, and insured home windows contractor in the states of Virginia and Maryland, and we consistently earn an A-plus rating from the Better Business Bureau. Since 1981, we’ve provided reliable, professional, and courteous home improvement service to Rockville, Gaithersburg, Washington, D.C., McLean, Falls Church, and everywhere else in Northern Virginia, Maryland, and the District of Columbia. We made our name in roofing, but we take equal pride in the workmanship, durability, and energy efficiency of our replacement windows. If your home windows in Frederick, Potomac, Oakton, Reston, Bethesda, or anyplace else in the Washington, D.C. area are in need of an upgrade, contact the experienced window installation team at Shiner Roofing, Siding and Windows. One of our design consultants will be happy to discuss your options with you.